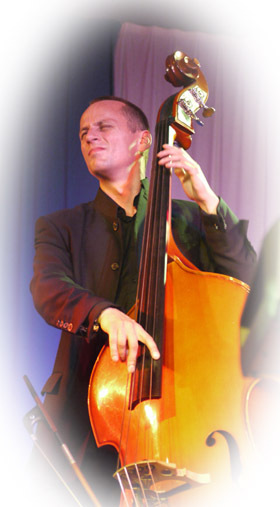 Peter Williams is a Grammy award winning, English, Copenhagen based, composer, producer and bassist. He started his career on bass guitar playing with various rock, funk and blues based artists in Liverpool and Sheffield where he had studied Materials Science and Engineering. Later he moved to London and worked as a session musician, and as a core member of various covers and R & B bands. He was also in demand on the stage, performing regularly with, amongst others, Urban DK, and break beat producer Jim Eliot. He could also often be seen and heard alongside Tears for Fears drummer Manny Elias. For the past decade Peter has been a full time member of the Paul Harrison Traditional Jazz Band, whilst being an active member of Copenhagen’s Gypsy Jazz scene and leading his own bands such as 2econd Nature and Bop Soup. 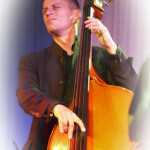 He has also been enjoying the success of one of his own productions: Swing 41 was a String Swing Jazz Cd he produced in 2008, from which Woody Allen chose to use a track in his film Midnight in Paris. Most recently Peter graduated as a Master of Science in Engineering in the field of prototyping and human computer interaction, and is now developing his own musical instruments. Watch this space.